Borne from the union of City Hall and the former Supreme Court, the National Gallery is a 64,000sqm visual arts institution that opened in November 2015 after a major renovation of the two heritage buildings. In addition to hosting international art exhibitions, it will also display, promote, research and study Singapore and Southeast Asian art, in the hope of propelling Singapore to become a global city for the arts. Among the highlights include artworks that will showcase how Singapore and the cultures of its neighbours developed, as well as tell their social, economic and political histories. All this is displayed in a pair of buildings rich in history and significance. Their design has been tastefully done to incorporate contemporary elements into the architecture, while still being respectful of tradition. Acclaimed by zoologists and tourists as one of the best zoos in the world, Singapore Zoo is set in 170 acres of parkland next to a lake. There are more than 1,600 animals in residence and 170 different species, 50 per cent of which are endangered species from Southeast Asia. The Night Safari, opened in 1994, is the world's first and only night zoo, which provides a rare opportunity to see nocturnal animals in their active state. Completing the trio in this corner of Singapore is the River Safari. In addition to accommodating a pair of giant pandas, the river-themed wildlife park replicates the conditions of the Mississippi, Yangtze and Amazon, among others, allowing visitors a look into these lesser known habitats. Hop aboard a bumboat and take a cruise along the Singapore River, along which the country first made its fortune on trade. Today, the waterway is clean and well-maintained, with hip restaurants and bars lining it across four different neighbourhoods – Collyer, Boat, Clarke and Robertson Quays. While Boat and Clarke Quay tends to rank high on mass appeal, Collyer Quay is the most sedate of the quartet. Offering amazing views of the Marina Bay area, its collection of fine dining restaurants and bars tend to attract the more corporate crowd. Over at Robertson Quay, located in a residential area, the vibe is more laid back and relaxed. Japanese restaurants are found alongside sports bars and eateries offering different types of European cuisine. Situated near Orchard Road, and a UNESCO World Heritage Site, the 52-hectare Singapore Botanic Garden is a favourite among the local and expatriate community. Primary jungle and manicured gardens hold thousands of flora species, including many rare specimens. In their midst, charming sculptures and little gazebos dot the green lung that is often visited by joggers, families, tourists and starry-eyed lovers. The Singapore Botanic Garden also houses the 7.4 acre National Orchid Garden, featuring more than 60,000 orchids and plants. Just for kids is the Jacob Ballas Children’s garden where plant edutainment is on offer. A host of restaurants and event spaces can be found throughout the grounds so that when the hunger pangs strike, sustenance is never far away, but always surrounded by the lushness of nature. Casinos aside, the Integrated Resorts of Marina Bay Sands (MBS) and Resort World Sentosa (RWS) are one-stop playgrounds. World renowned celebrity chefs have opened restaurants there, serving to up the ante in the local food and beverage scene. Alongside them are a mind-boggling range of retail options spanning luxury designer brands to daily essentials. Over at RWS, do not miss out on Universal Studios Singapore, with its thrilling rides and shows based on the biggest movie blockbusters. At the S.E.A. Aquarium, more than 100,000 marine animals spanning 800 species swim serenely behind their glass enclosure. Equally enjoyable is the Adventure Cove Waterpark, with its waterslides and a wave pool, that will delight visitors of any age. The Singapore Art Museum (SAM) is a contemporary art museum which focuses on art-making and art thinking in Singapore, Southeast Asia and Asia, encompassing a worldwide perspective on contemporary art practice. It seeks to seed and nourish a stimulating and creative space in Singapore through exhibitions and public programmes, and to deepen every visitor’s experience. These include outreach and education, research and publications, as well as cross-disciplinary residencies and exchanges. SAM occupies two buildings: the old St Joseph’s Institution on Bras Basah Road, built in 1855 and now a National Monument; and SAM at 8Q, a conservation building across the road on Queen Street that was the old Catholic High. Singapore’s version of New York’s Central Park, Gardens by the Bay is a 101 hectare green lung planted upon entirely reclaimed land. It is made up of Bay South and Bay East Gardens, and promises to be a dream come true for horticulturalists. Most striking are the 12 Supertrees, vertical gardens that stretch up to 16 storeys up. Also distinctive are the pair of domes along the waterfront that house flora and fauna from different climes. Do not miss out on the Cloud Forest, which houses a 35m tall structure hugged by lush vegetation, the world’s tallest indoor waterfall, and a mysterious cloak of mist. The intention is to recreate the climate of the tropical highlands of up to 2,000m above sea level. Sentosa is the leisure and recreation destination in Singapore. An island south of the Singapore mainland, it was formerly used by the military and transformed in 1972 to become the attraction it is today. Sandy beaches – some 3.2km in total – jostle for attention alongside a marina, golf course and luxury residences. In addition, visitors will also enjoy Universal Studios, Madame Tussauds and one of the world’s largest indoor skydiving wind tunnel. Dotted throughout are bars, cafes and restaurants at which to relax and chill out at, providing respite after all the adrenaline rush. Raffles Singapore is one of the few remaining great 19th century hotels in the world. Its distinctive architecture is perfectly preserved, giving the legendary hotel an intoxicating blend of luxury, history and classic colonial design. 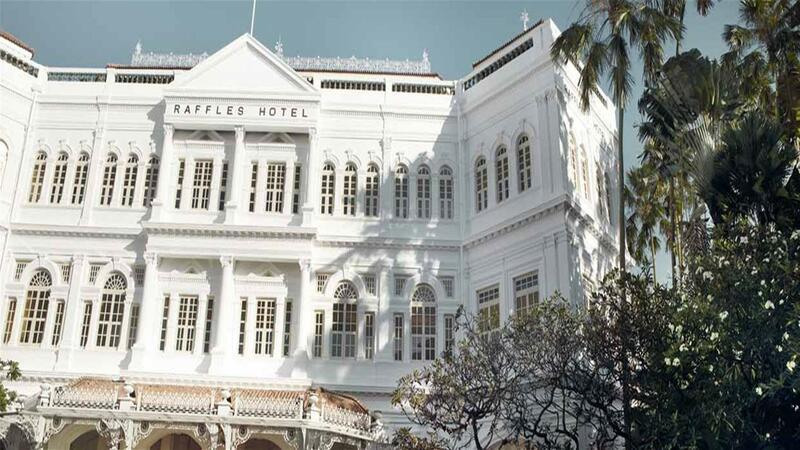 Be one of the first to experience the restored Raffles in 2019, featuring the return of Long Bar, home of the Singapore Sling as well as new social spaces, restaurants and bars helmed by celebrity chefs, a variety of lifestyle experiences including a revitalised shopping arcade and new Raffles Spa. This restoration is designed to ensure that we retain what is so special about Raffles – the ambience, the service, the charm and the heritage of the hotel. It is also intended to provide the facilities, spaces and experiences that the well-travelled expect. The all-suite hotel provides a selection of 115 spacious suites with modern comforts and amenities whilst retaining the signature colonial architecture and views of verdant gardens. Every precious moment is immaculately presented with the peerless service one has come to expect from Raffles and cosmopolitan Singapore. Our service is as generous as it is exemplary, creating an oasis where the well travelled can be themselves to rejuvenate in this bustling city. A grand historic hotel, which is a destination unto itself, the hotel exudes old-world grandeur infused with the unique charm of Singapore, along with the emotional luxury that Raffles offers. The hotel is nestled amidst Singapore’s business and civic districts, perfectly situated for easy access to the city’s exciting attractions, shops and restaurants. Raffles is within walking distance of local museums and cultural precincts while major transportation hubs are also within convenient access. In 1899, Raffles was the first hotel in the city to hire a French chef, introducing travellers and Singapore to authentic French flavours. Fast-forward almost 120 years, and the Grand Dame is once again at the forefront of a culinary renaissance presenting local favourites to fine dining and curated classics. Raffles’ exciting dining experiences combine the hotel’s well-loved culinary traditions with contemporary dining concepts by renowned celebrity chefs. Each promises to tantalise the senses as sumptuous cuisines and epicurean adventures come together at the city’s premier dining destination. Raffles Singapore is the ideal address for elite corporate events and glittering social galas. 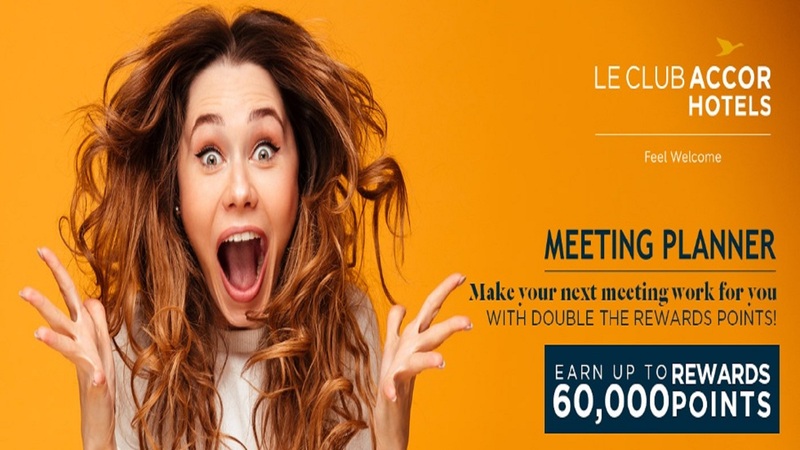 Well-planned meetings, events and celebrations complemented by impeccable service, charming décor and exceptional catering all come together to create an unforgettable experience. With 2,500 square metres of resplendent event spaces, all celebrations at Raffles will be unparalleled.